After the Milwaukee Bucks won an NBA-best 14 games (14-4) in the month of March, the NBA has rewarded them with a pair of monthly honors. 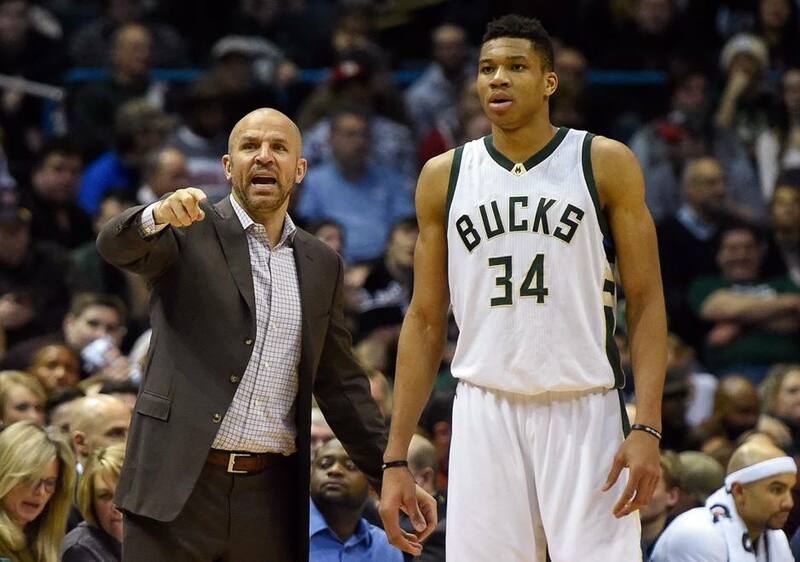 The NBA named head coach Jason Kidd the Eastern Conference Coach of the Month and forward Giannis Antetokounmpo the Eastern Conference Player of the Month. Kidd is the sixth head coach in franchise history to win the Coach of the Month award and the first since Scott Skiles in February of 2010. Former Milwaukee Bucks star Sidney Moncrief and former Wisconsin men’s basketball coach Bo Ryan were named finalists for the Naismith Basketball Hall of Fame. The announcement came in New Orleans during the NBA all-star weekend. Moncrief was named a finalist for the first time. It’s the third time for Ryan. Moncrief was a two-time NBA defensive player of the year with the Bucks and five-time all-star. He was the Bucks first round draft pick in 1979 and played 10 seasons. Ryan spent 32 seasons as a collegiate head coach before retiring in December 2015. He finished his career 26th on the NCAA’s all-time victory list with 747. 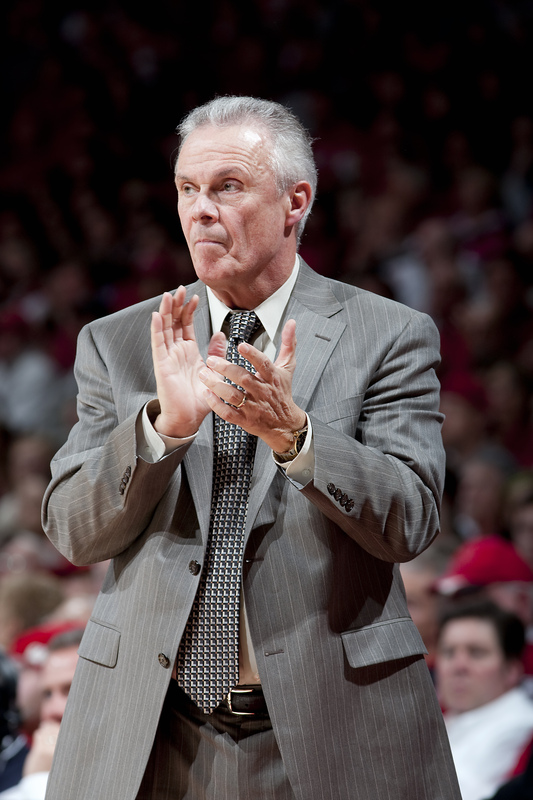 He went 364-130 in 14-plus seasons at Wisconsin. Moncrief and Ryan are among 14 finalists named for consideration in the 2017 class. The final class will be announced April 3, before the NCAA Championship game. 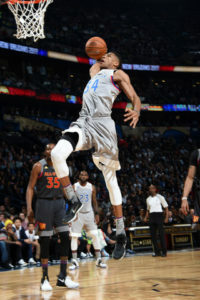 Milwaukee Bucks forward Giannis Antetokounmpo scored a team-high 30 points, 22 of them coming on dunks, but the Eastern Conference fell to the Western Conference 192-182 at the Smoothie King Center in New Orleans. Pelicans forward Anthony Davis set an NBA All-Star game record with 52 points to lead the West. The previous record of 42 points was set by Wilt Chamberlain in 1962. The 30-points for Antetokounmpo is the most points scored by a Bucks player in an NBA All-Star game. Lebron James added 23 points and Kyrie Irving had 22 for the East. It’s the first time the All-Star game has had a Bucks player in it in 13 years. Antetokounmpo is the first Bucks player to start since 1986 when Sidney Moncrief did it. Antetokounmpo hit 14 of 17 field goal attempts. He also added six rebounds, three steals and one assist. Long time Milwaukee Bucks television broadcaster Jon McGlocklin, is cutting back on his schedule as he enters his 38th season as the color analyst on Bucks broadcasts on Fox Sports Wisconsin. FSW will broadcast 72 Bucks games during the regular season and McGlocklin plans to work 36 of them. Moncrief, the former Bucks star and assistant coach, will work about 36 games as well. Jim Paschke, who is in his 28th season with the team, will continue in his role as the TV play-by-play voice of the Bucks. Milwaukee Bucks center Larry Sanders was named today (Wednesday) as one of 27 NBA players invited to USA Basketball’s national team camp, July 22 to 25 in Las Vegas. The camp will give U.S. coach Mike Krzyzewski a chance to evaluate some of the rising talent in the league as he prepares for the 2014 World Cup in Spain and the 2016 Olympics in Brazil. 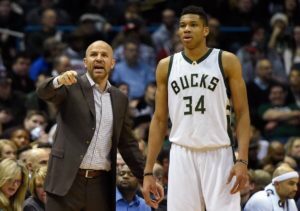 The Milwaukee Bucks informed their assistant coaches that their contracts would not be renewed. New Bucks coach Larry Drew is in the process of putting together his own staff. Gone are assistants Sidney Moncrief, Joe Wolf, Chris Gilmartin, Anthony Goldwire and Bill Peterson.